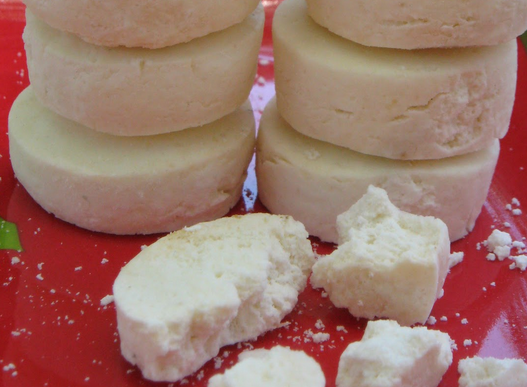 Puto seko is a bite-size snack made of cornstarch and sugar. It is a common pasalubong sold by vendors in different provinces across the country. Its texture is very smooth and powdery. More often, it is round or is shaped like a flower. It is very easy to make and only takes less than 30 minutes to cook (for typical 12 bite-size pieces). You will need an oven and a sheet pan. The ingredients can be simply bought at the nearest marketplace. Here’s a logical business tip for those who might consider establishing a small puto seko business–add bottled water to your list of products as it usually makes its consumers thirsty. 1. Preheat the oven to 190 degrees Celsius (or 375 degrees Fahrenheit). 2. Grease the sheet pan using butter or vegetable oil. 3. Beat the egg in a bowl. In another bowl, combine baking powder, sugar, flour, cornstarch, butter, powdered milk, and salt. Add the beaten egg and mix them all up until it thickens. 4. Knead the mixture for a few minutes to create dough. Roll it into a ball about one to two inches in size and place it properly on the sheet pan. 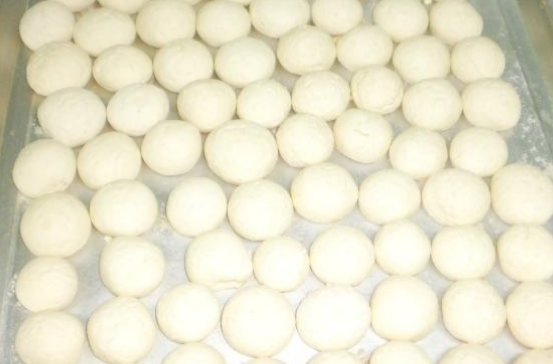 The dough can make at least 12-14 pieces of puto seko. 5. Put it in the preheated oven and bake it for about 10 to 12 minutes or until it turns light brown. 6. After baking, let your puto seko cool down before serving. You may sell it in a pack.